The European Parliament has voted in favour of Article 13. Article 13, full title 'The European Union Directive on Copyright in the Digital Single Market', is an agreement that requires social platforms such as YouTube and Facebook to take responsibility for copyrighted material. The vote passed with 348 votes to 274. The legislation was criticised by the public and even executives at a number of companies. YouTube CEO Susan Wojcicki and global head of music Lyor Cohen both spoke about how Article 13 could negatively affect creators on YouTube. Wojcicki said that the new law could pose a threat to "your ability to share your voice with the world". 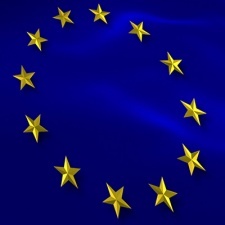 The EU voted in favour of Article 13 back in September, but the board continued to negotiate the terms of the legislation, leading to a final vote today. Article 13 was quickly dubbed as an "upload filter". The rule would make content hosting sites liable for copyright violations. This means YouTube, Facebook, Twitch, Twitter et al would be responsible for finding and removing copyrighted material. This could put content such as memes, song parodies and UGC at risk of being removed by platforms.